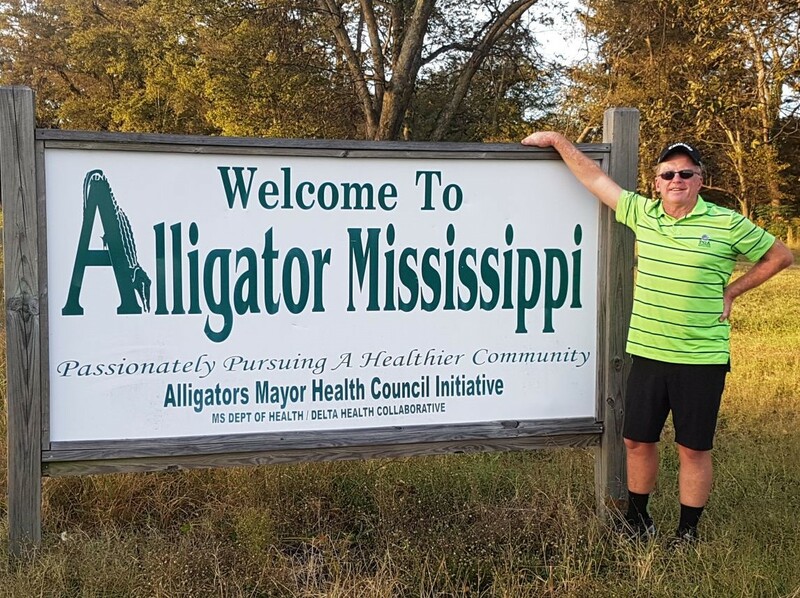 Home Life on tour Meeting The Mayor Of Alligator, Mississippi. 1 year ago by Bernie McGuire Comments Off on Meeting The Mayor Of Alligator, Mississippi. It was of those chance encounters but in a town boasting around just 200 citizens. The four of us, including my brother, Steve and his wife Sally who were visiting from Sydney, were making our way north from Vicksburg, Mississippi to Memphis, Tennessee. 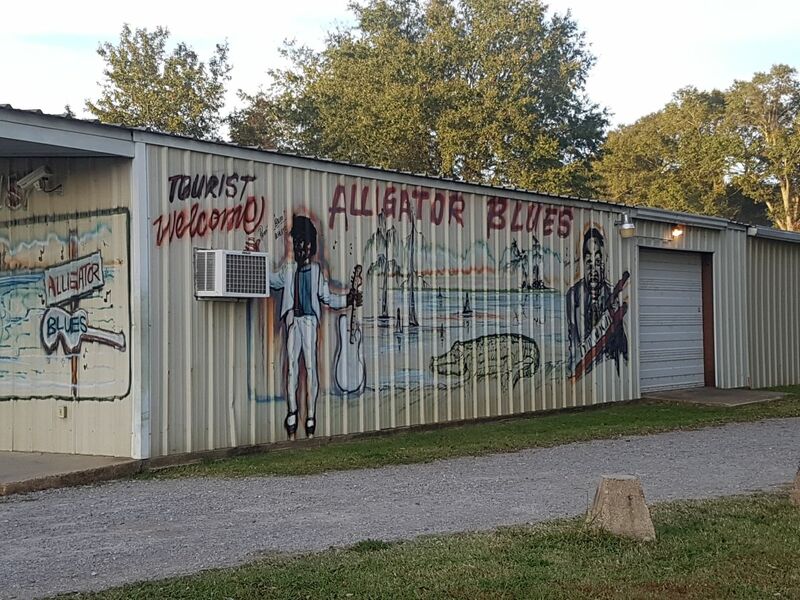 I had observed a sign saying ‘Welcome to Alligator’ when we travelled to this part of the States earlier this year in reporting on the PGA Tour’s FedEx St. Jude Classic some 90-minutes drive north in Memphis. 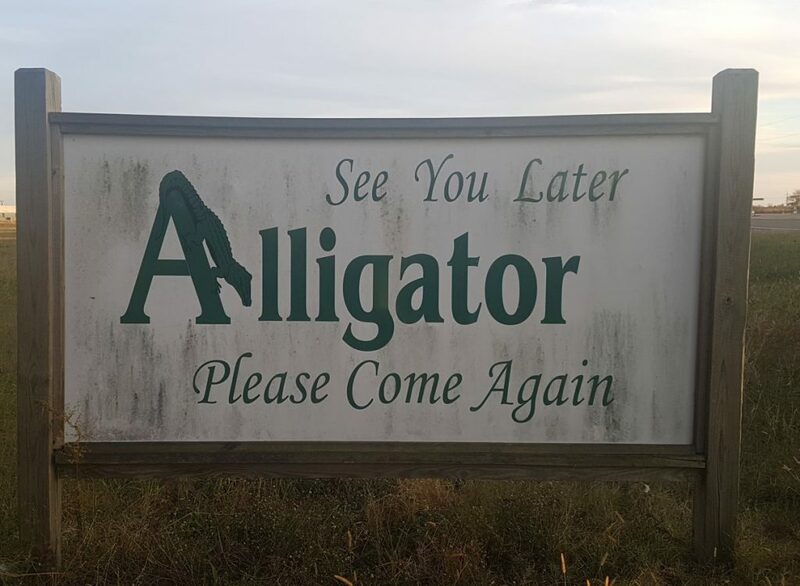 Now my first thought, and seeing an alligator painted on the welcome sign, was that this town located along the eastern region of the Mississippi River was named afer alligators but, in fact, it was named after a lake in the shape of an alligator that was inhabited by … you guessed it, alligators. 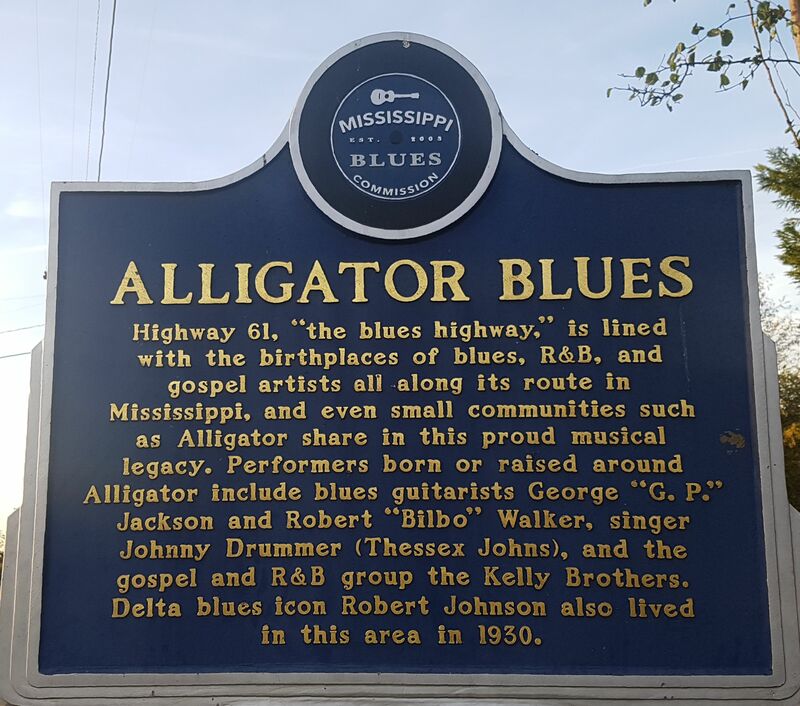 Anyway on this day we turned off Mississippi highway 61 and delighted in grabbing a few photographs beside this unque sign declaring: “Welcome to Alligator, Mississippi”. Bernie and Welcome to Alligator, Mississippi. We jumped back in the car and proceeded on down the road towards the township of Alligator. He introduced himself as Tommie Brown and proudly annoucing: “I’m the Mayor of Alligator’. We informed him of our travels and with my brother asking the Mayor if he’d had many Australian tourists visiting Alligator. 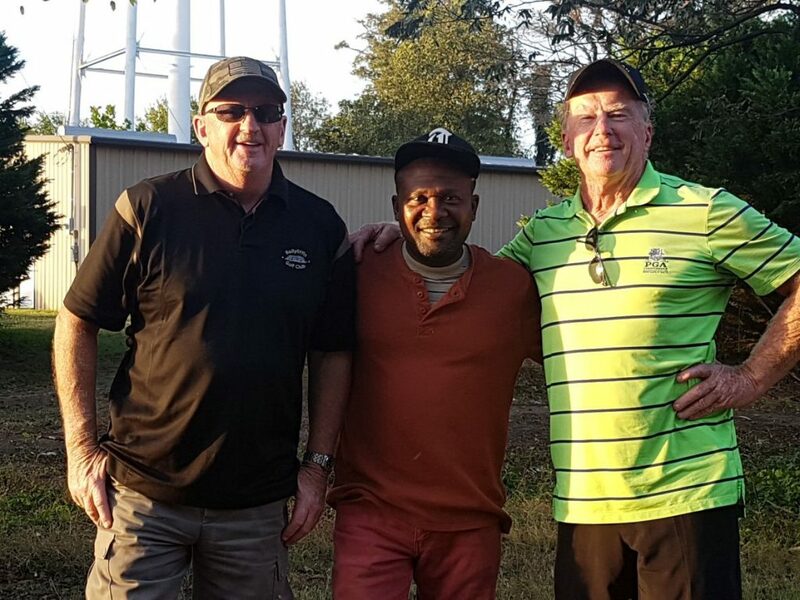 Mac and Bernie meet Tommie Browne and the proud Mayor of Alligator, Mississippi. Suffice to say Mayor Brown’s answer was ‘not too many’. The story of how Tommie Brown became mayor of Alligator makes for interesting reading. Back in 2009 Mayor Brown, and now aged in his late 40s, defeated Robert Fava, the white mayor since 1979, and who owned a general store and with new mayor Brown winnnig by 37 votes to 27 so that gives you an idea of the size of Alligator, Mississippi. 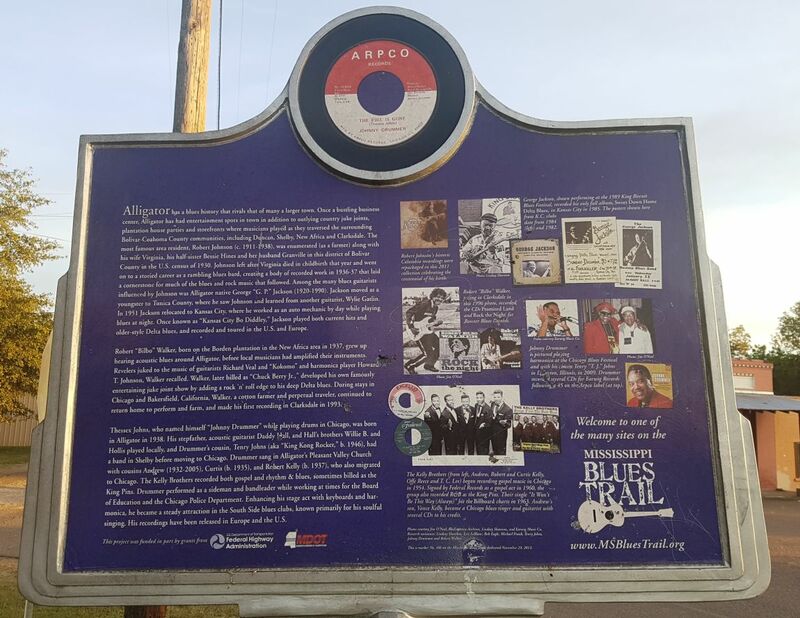 Nonetheless, Brown’s victory was a milestone in the history of the town that grew in the early 1900s when mainly Italian immigrants settled in the area to work on fertile Mississippi delta plantations. The trains stopped in the 1950s and the hotel closed down around the same time and was demolished. On the day of our visit sadly, most of the old store fronts were boarded up and the town looks a little worse for wear but then there was no denying the mayor’s warm welcome and pointing out also to us that Alligator has a rich history of ‘Blues’ music as was clearly evident on two plaques located in the main street and with Alligator an important stop on the ‘Mississippi Blues Trail’. Alligator, MS – An important stop on the Mississippi Blues Trail. Mayor Brown was the first African American to ever stand for Mayor of Alligator and it took Barak Obama’s historic victory to become President of the USDA to prompt him to stand against a mayor who had never been challenged in 30-years. “Obama was a major influence on everybody,” he said. “After 30 years, I didn’t think an African-American would be able to be mayor. I didn’t think the position was open to me. When he won, I decided that I knew the changes that needed to be made here and I thought that I could make those changes. Besides if we don’t look after our youth, what do we have? The population is dying out and I want more people here. I want better living conditions. “I just want the people to be comfortable. 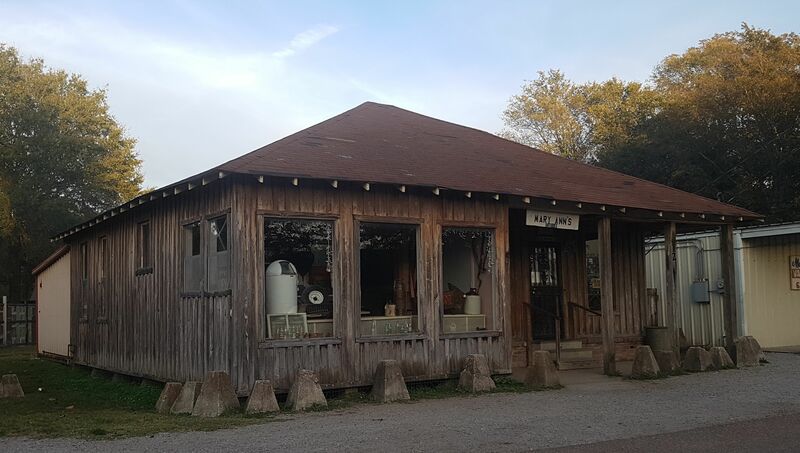 Small towns like this depend on government funding and that’s what we’re seeking. Congratulations mayor as we thoroughly enjoyed meeting you and thank you so much for the warm welcome. And one last photo before we got back onto Highway 60 and that was the wording on the back of the ‘Welcome to Alligator, Mississippi.